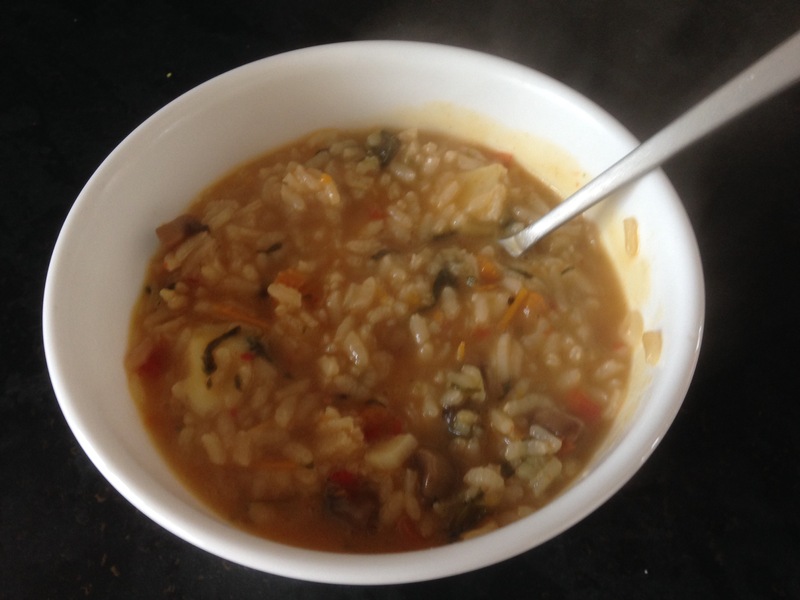 Today for lunch I made a risotto using my veggie delight. I heated 30g salted Abernethy butter and added 2 sliced garlic cloves. After 2 minutes I added two fistfuls of risotto rice and stirred and cooked for 4 minutes. I then added 500ml boiling water and simmered for 15 minutes. I then added two serving spoons of the veggie mix and cooked for 6 minutes. The dish was now ready to serve and I added some cheddar cheese. Lunch is served!! !